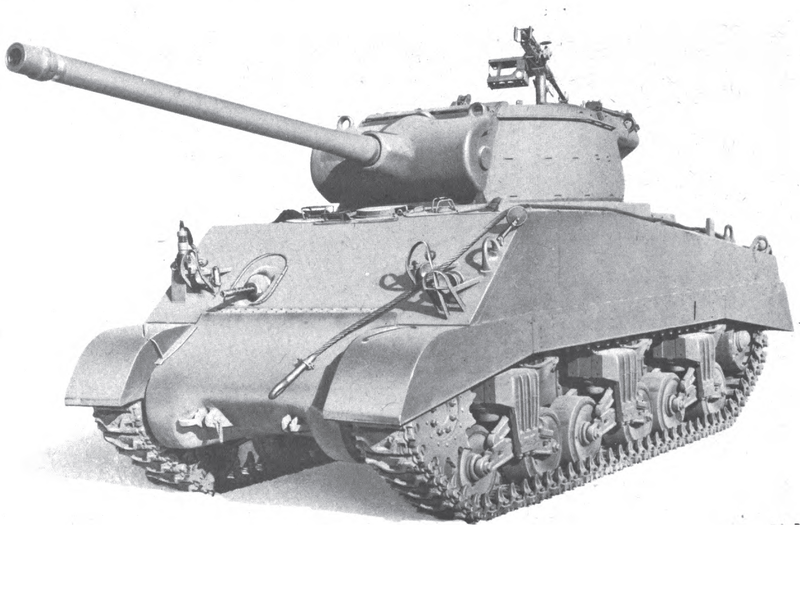 The M36 was another tank destroyer based on the Sherman chassis, basically an M10A1 with a new turret mounting a bigger gun. 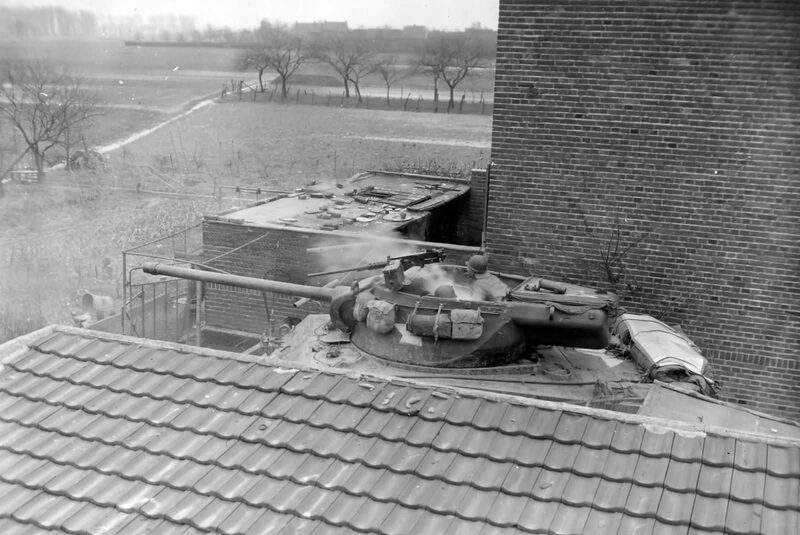 These tanks mounted the 90mm M3 gun. 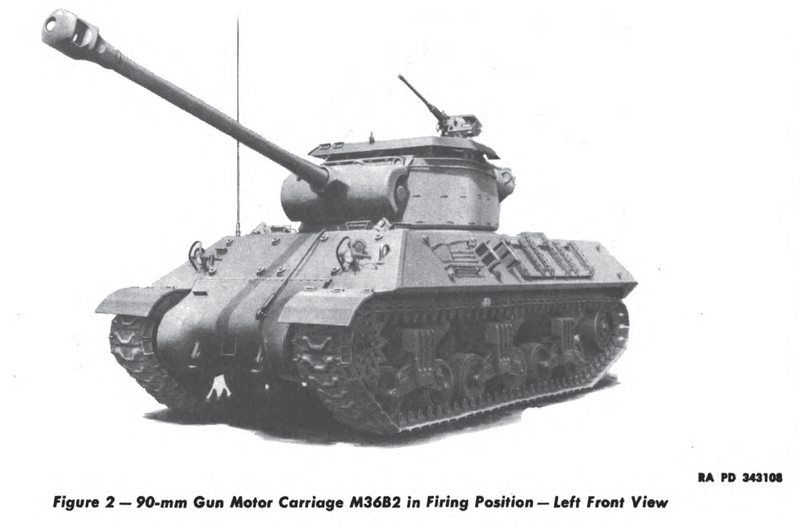 In some cases, the M36s turret was fitted to otherwise stock M4A3 hulls due to a shortage of M10 hulls. These TDs had full power traverse. 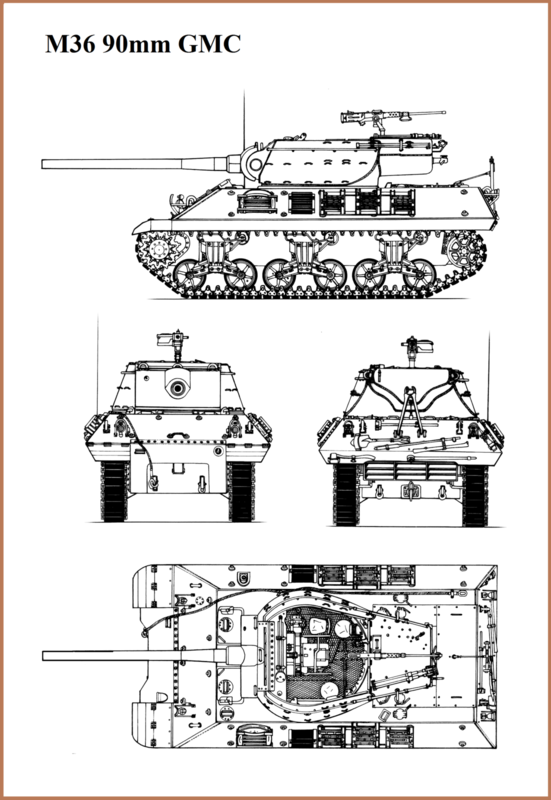 These the M36 was well liked because the M3 worked well on both armor and soft targets since the M3 90mm gun had a nice HE shell. 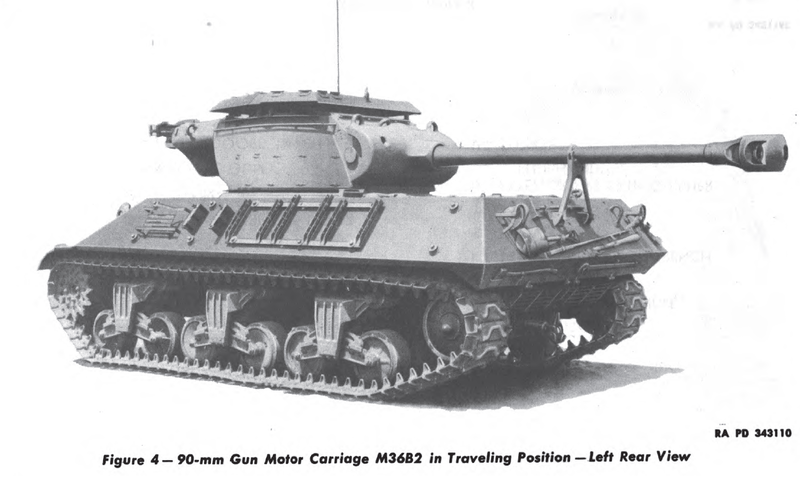 The M36 was more popular than the M18 since it had some armor, and the gun really packed a punch. 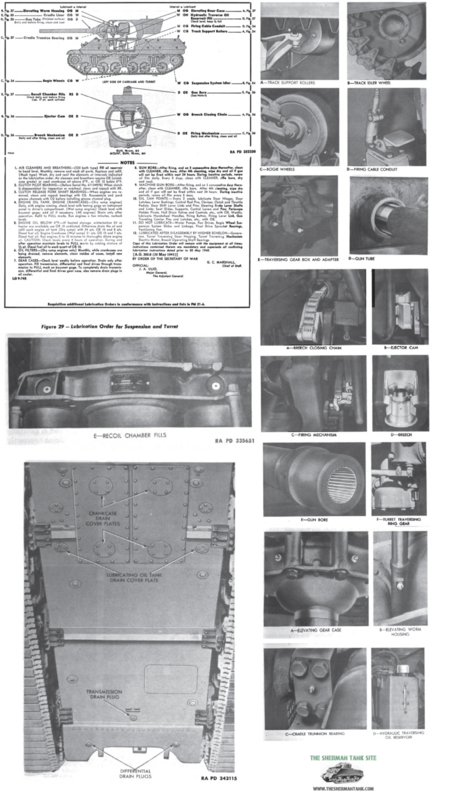 It was an M10 with every problem the M10 had fixed. 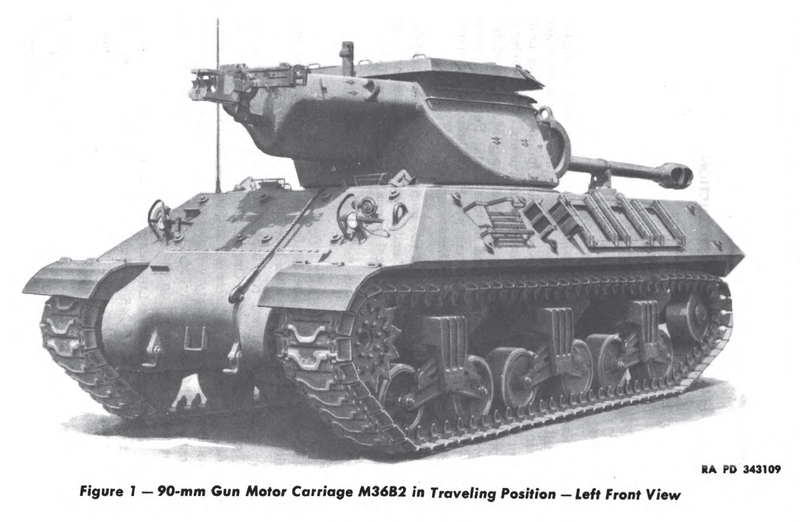 The mobility of the M18 was considered somewhat limited in real world usefulness. 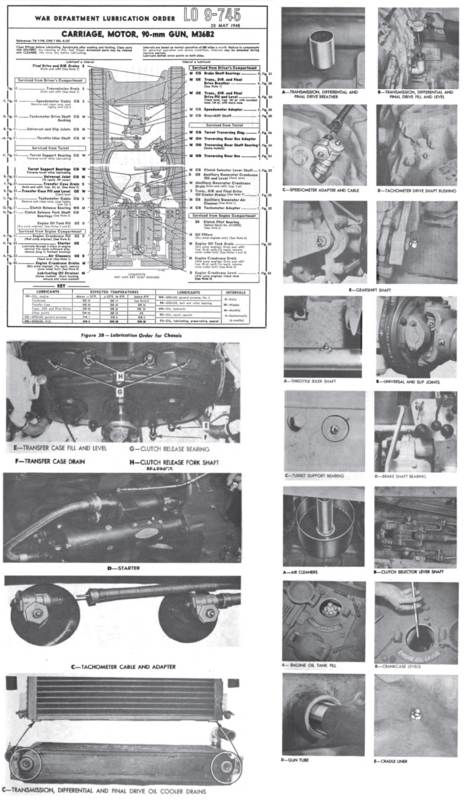 Need to lube your M36? 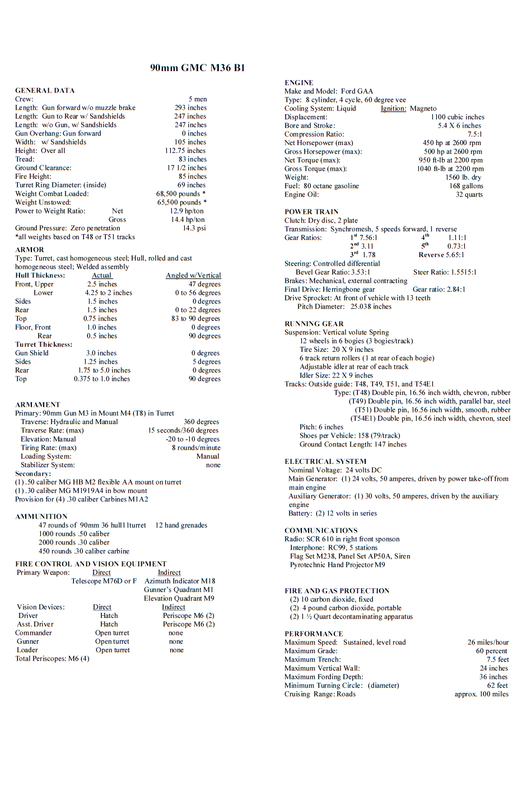 Here’s your chart. 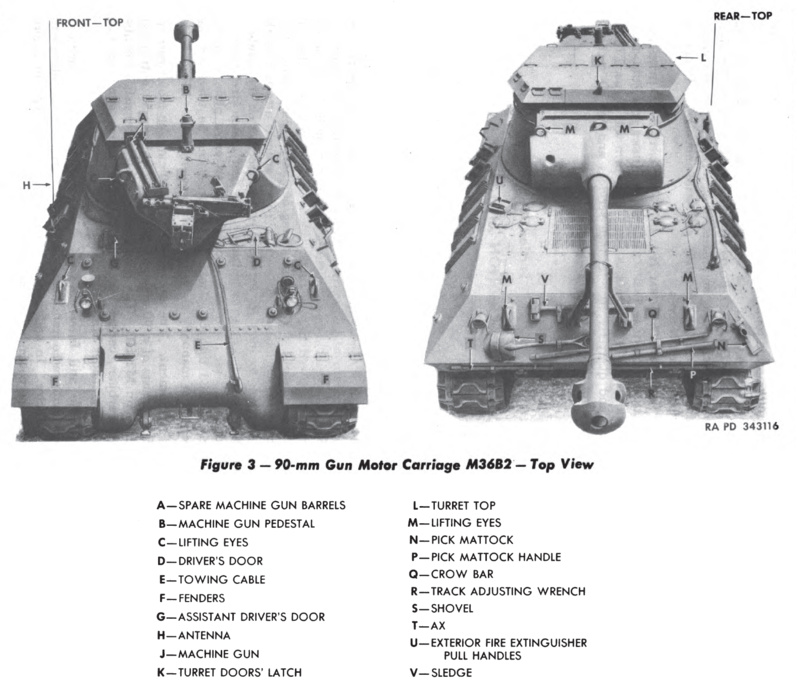 In these images, we have an M36B2, with factory roof armor, and a GM 6046 powering it. 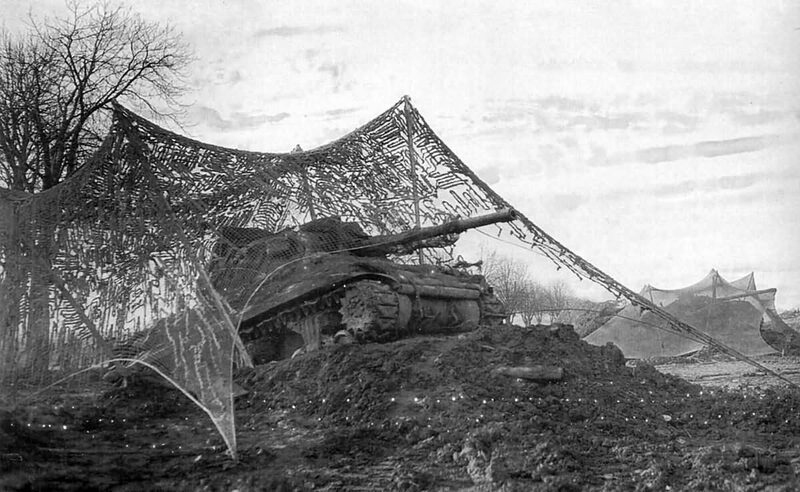 Roof armor like this was fabricated in the field for M36 and M36B1 GMCs. 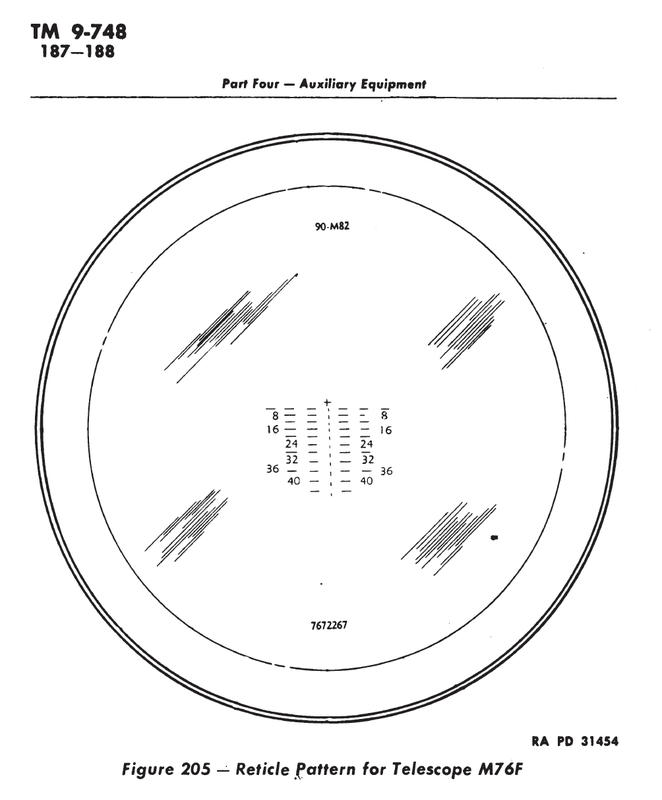 In this pair of images we see the telescopic sight, it’s reticle. 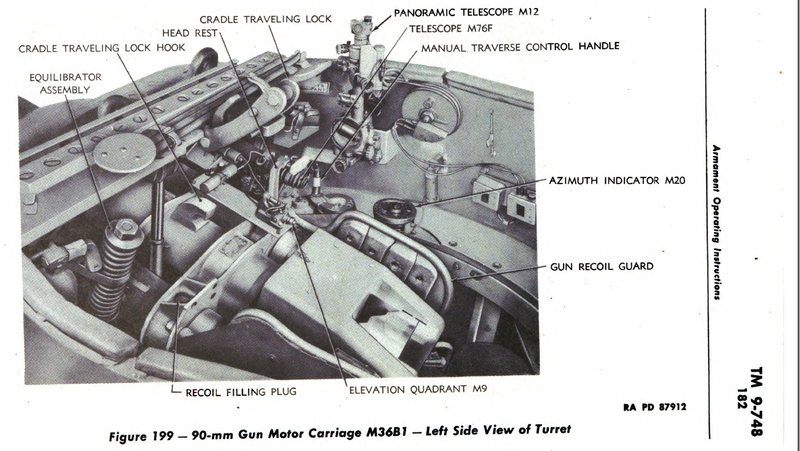 This was the sight used in the M36 series. 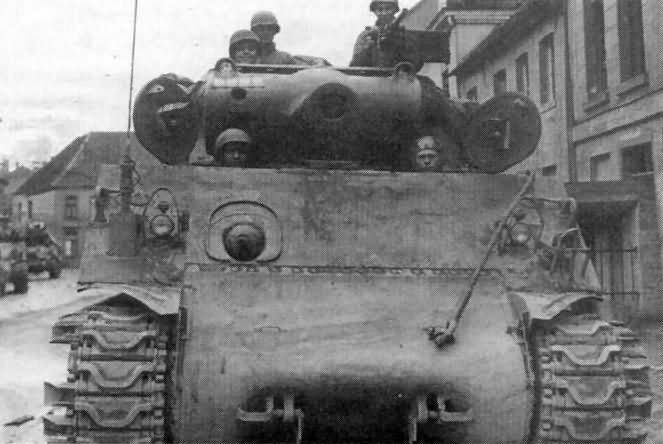 This is an M36B1, a standard M36 GMC turret on a regular M4A3 large hatch hull. 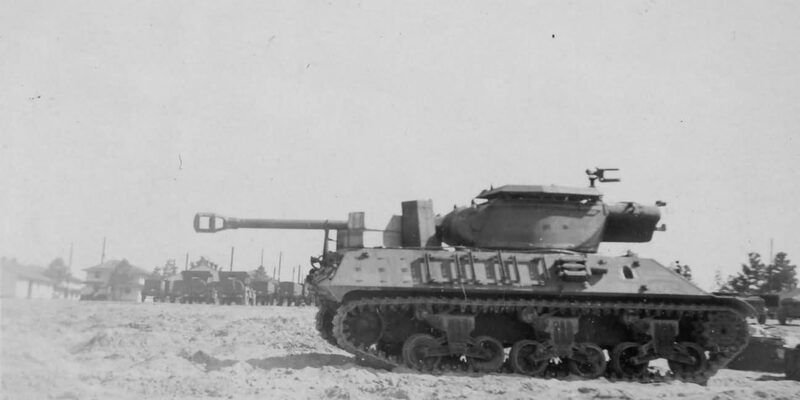 This TD suffered all the same problems dealing with infantry the M10 did, except in the M36 B1, since it was built on an M4A3 hull, it had a bow machine gun. 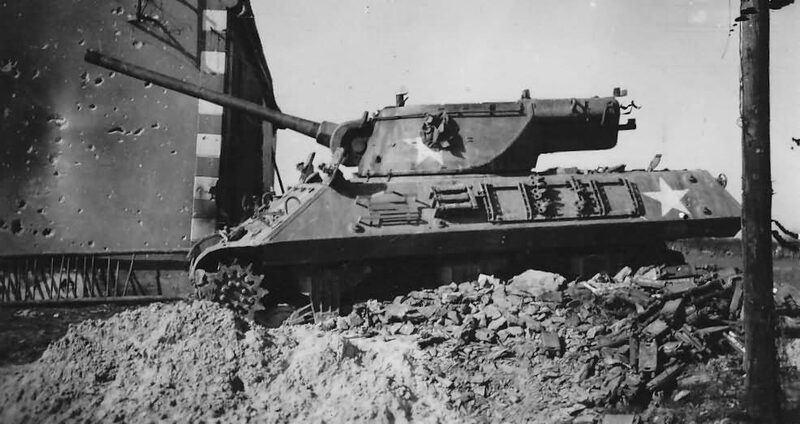 This was as close to a factory produced 90mm Sherman during the war. 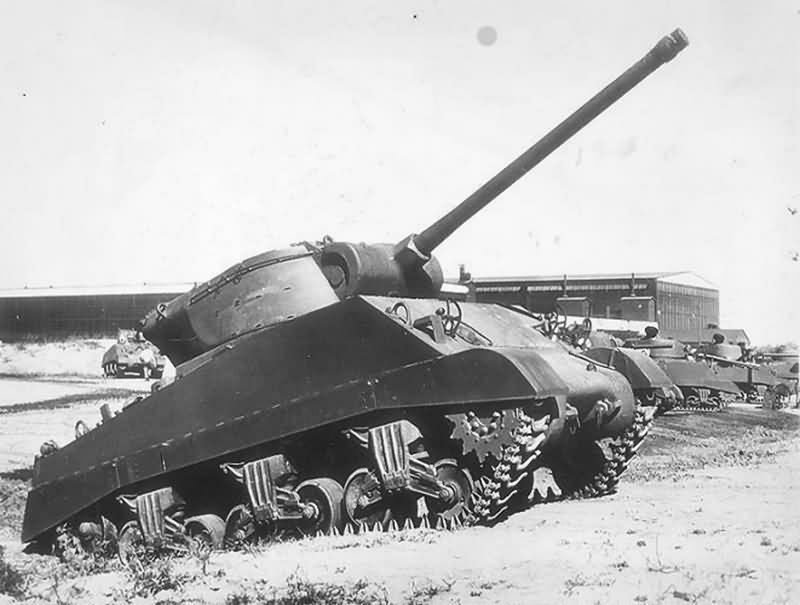 It was also upgraded in a lot of units with some form of roof armor. It solved the drivers and co-drivers hatch problems and always had a power turret drive though. There was a diesel-powered version based on the base M10 chassis powered by the GM 6046. There were 1413 M36s, 187 M36B1s, and 724 M36B2s. 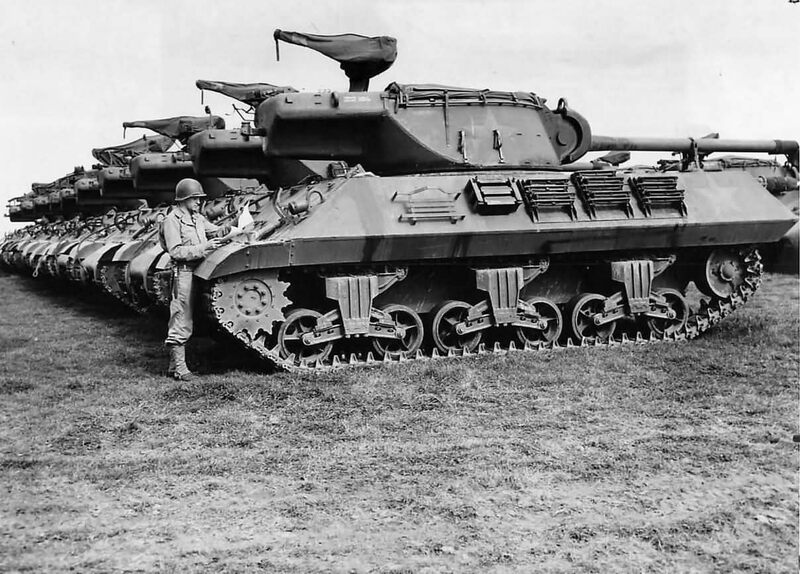 They produced it on the M4A3 and M10 hulls because they ran out of M10A1 hulls, and no more were going to be produced. Demand for the vehicle was so great they used what they had available. 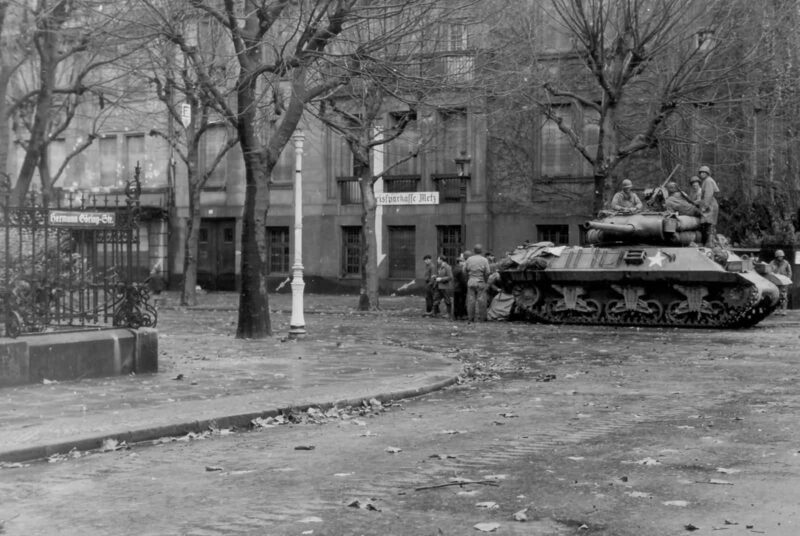 As far as I can tell they saw use only in Europe with the US Army, but the French used them in Indo-China (Vietnam). 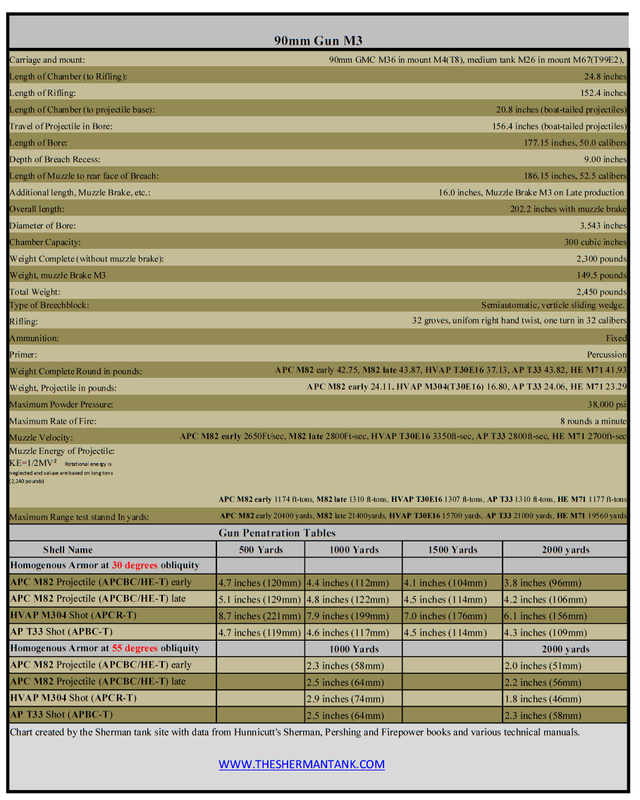 Click the above images for larger versions or download them below. 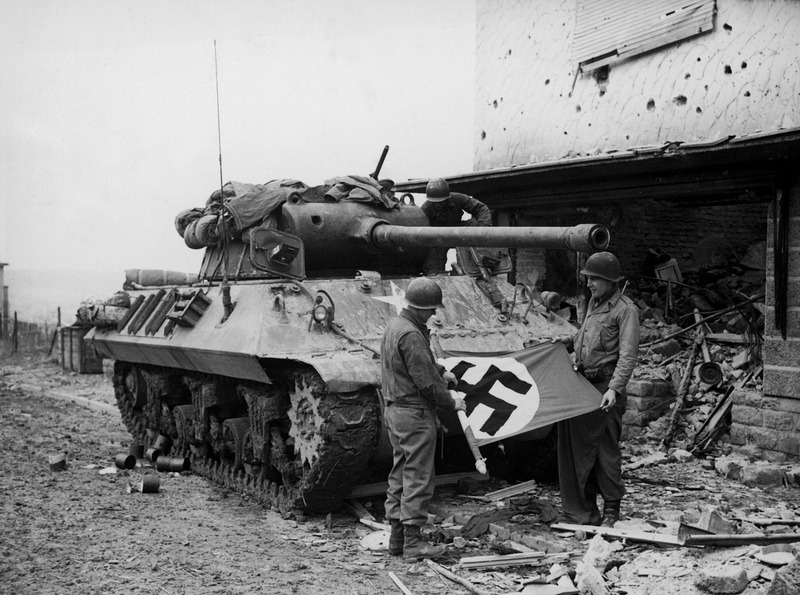 American soldiers of Patton’s Third Army standing in front of their M36 TD while rolling up a Nazi flag they have taken as a trophy after the capture of Bitberg. 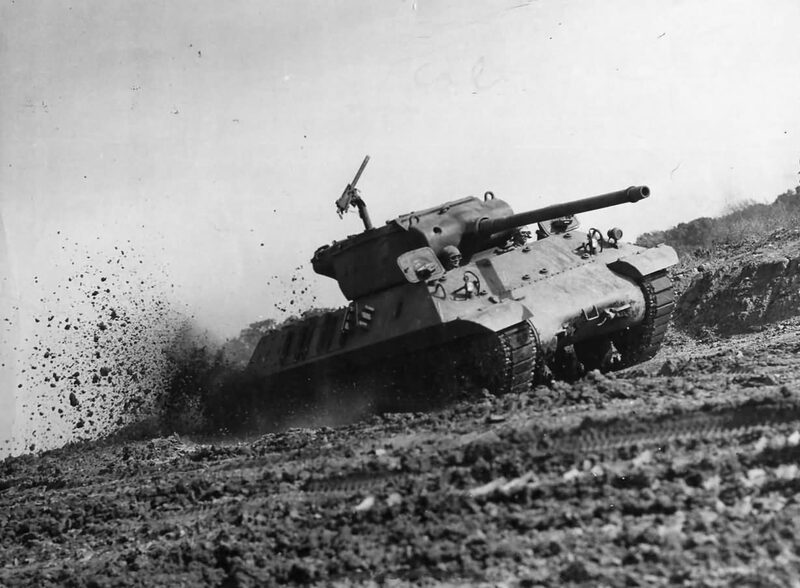 M36 in action during the battle of the bulge. 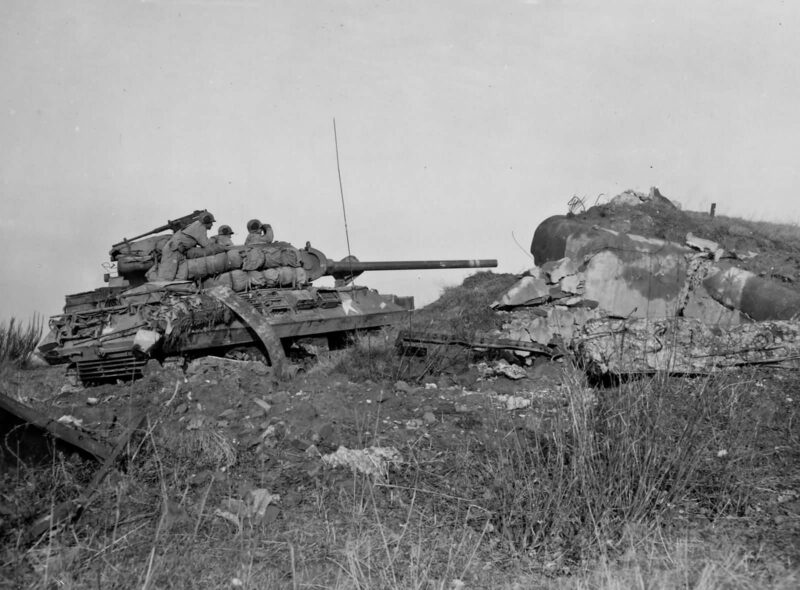 An M36 TD with the 702nd TDB near the Roer river, in 1944. It may be being used in the indirect fire role. What looks like a line of brand new M36 TD in a Depot somewhere in France in 1944. M36B1 outside probably the Fisher plant in 44.